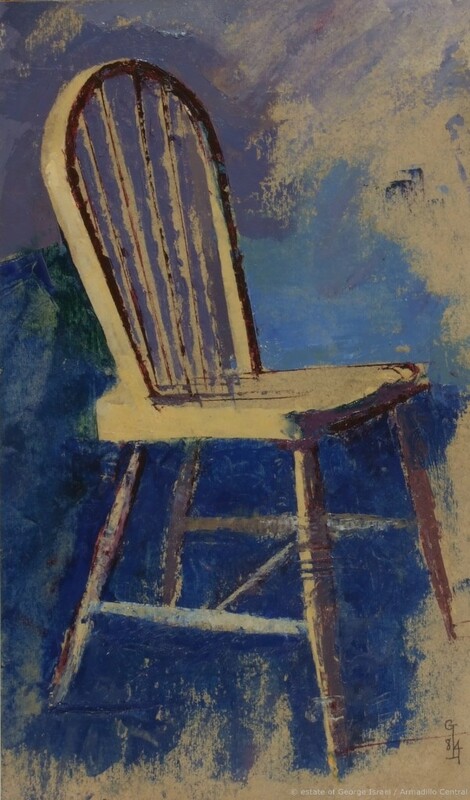 The late George Israel’s substantial and accomplished archive of artworks, accumulated over a lifetime of painting and drawing, are now curated by his son Tim Israel. Contact us if you’d like to view a selection or organise a show. 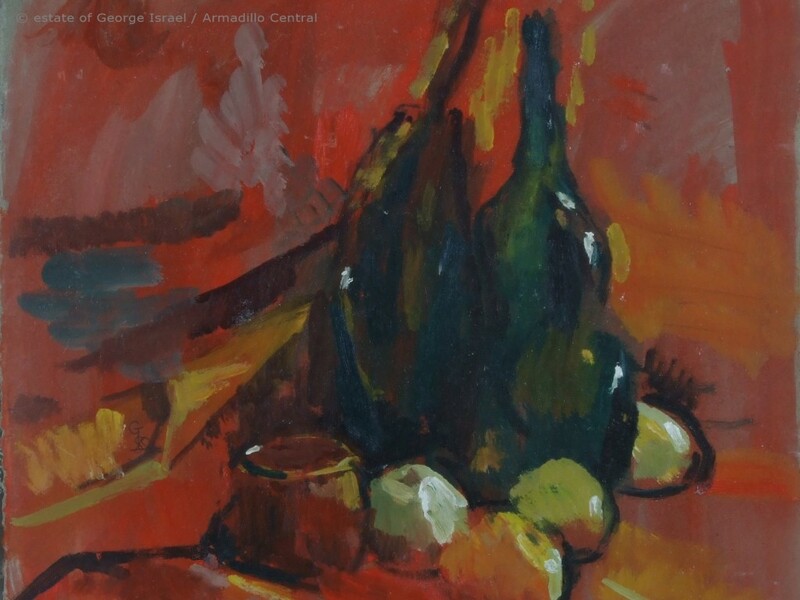 A selection of still life artworks are currently on display and available for sale at The Petal Pusher in Kew, Surrey. 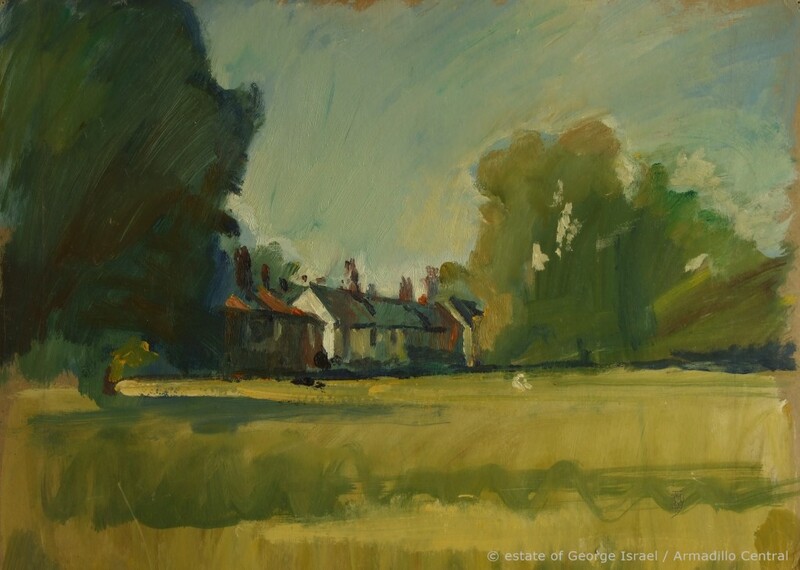 Please also visit George Israel’s Instagram page for the latest news and further artworks for sale. 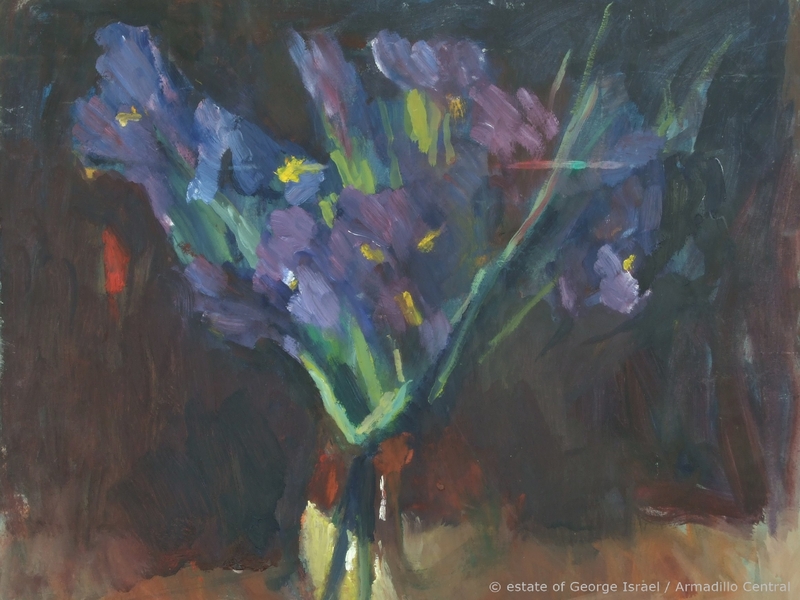 Born in 1914 in Forest Gate, East London, George Israel was the youngest of four brothers. He had a natural gift for music and sang regularly in the synagogue choir. He also had an undeniable talent for art. “He was not very good at school, but he could draw” and this landed him a scholarship at West Ham Municipal College aged thirteen. 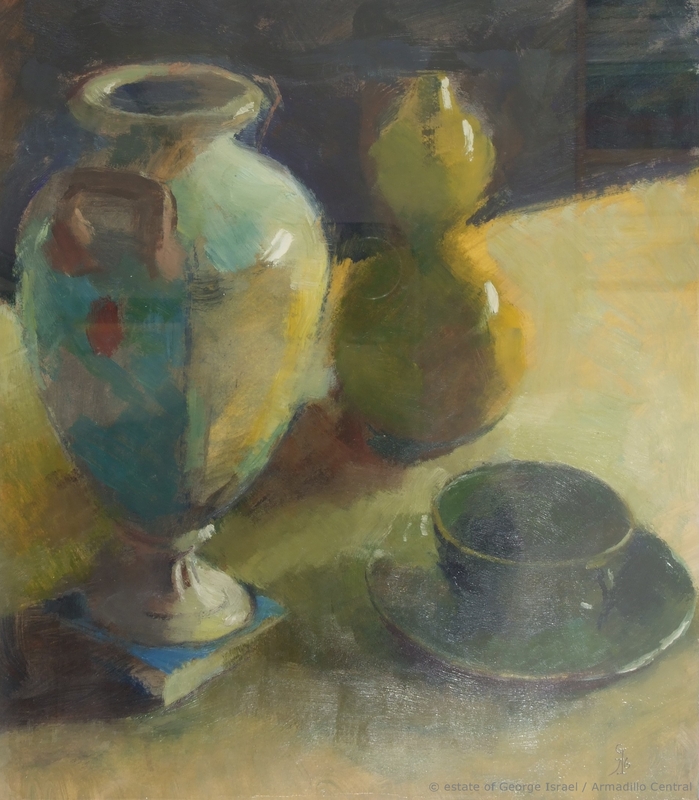 From 1934 to 1939 he attended the Royal Academy Schools, where he was awarded the RA Schools Landseer Award for Painting in 1937, and was runner up for the Arthur Hacker Portrait Prize in 1938. 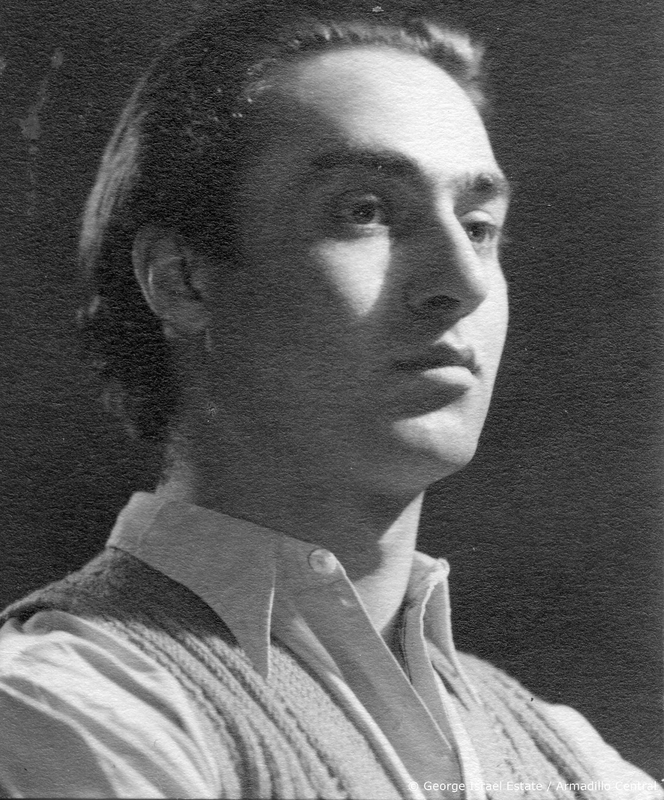 In 1939 George joined the Glyndebourne chorus, later going on tour, which is how he met his future wife Ruth Parkin, a dancer in the same show. In 1940 one of his landscapes was hung in the Royal Academy’s Summer Exhibition. A year later he joined ENSA and toured the country with a concert party. He was called up to the Royal Artillery in 1942, leaving after the end of the war, in 1946. Following a couple more years singing with the Glyndebourne chorus, which included performances at the first two Edinburgh festivals, George sought a more reliable career. He returned, quite literally, to his roots – as a child he had lived above the family’s fruit and vegetable shop – and working as a salesman in Covent Garden Market in 1950. 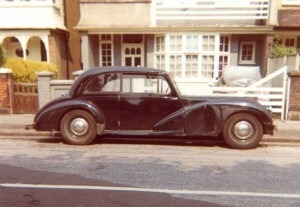 The family moved from Chelsea to Barnes in South West London a few years later. George progressed to shop manager, at Brentford Market, but this ended abruptly in the mid sixties, when he sided with the workers in a dispute with management, and was sacked. During his time in the markets he continued to sing in public. He also ran various opera groups including Marks & Spencer’s. 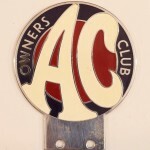 Other passions included his AC car and membership of the AC Owners Club. 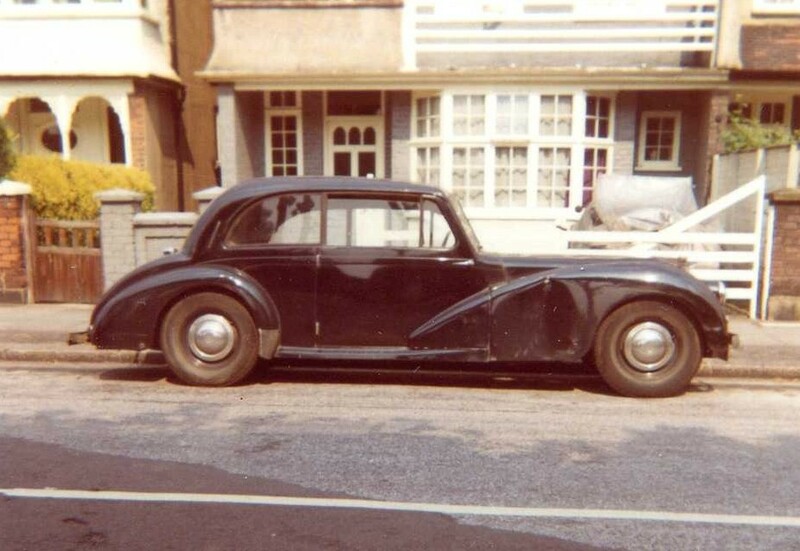 “It was an AC 2 litre Saloon. 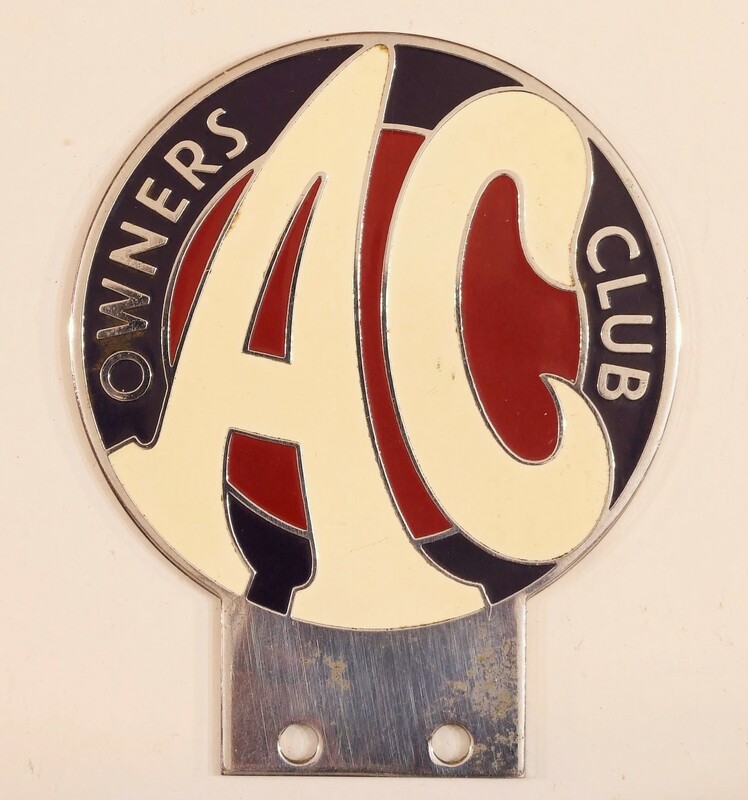 First my uncle had one around 1950, then another and passed the first to my father, and later the second one to my cousin. 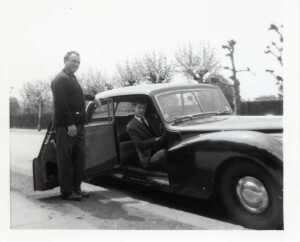 My father then bought another 2nd hand one and I learnt to drive in that and a Bedford CA van. Finally somebody gave my parents a VW Beatle and I got the AC.” Tim Israel reminiscing, 2017. 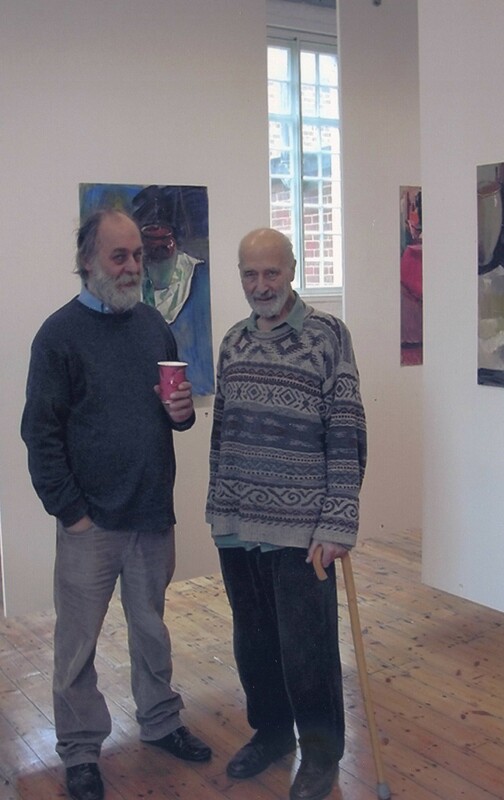 He painted throughout his life and this included numerous portraits (many as commissions) including actors Joseph O’Conor and Llewellyn Rees, a high court judge and various Chelsea pensioners. He also painted copies of portraits including Rembrandt, Lord Raglan (at The Raglan Hotel, Muswell Hill), Churchill and Lady Astor, which used to hang at now defunct Astor Hotel in Plymouth in its heyday, where other commissioned work of his also used to be on show. George illustrated various composers in Biro for Discovering Classical Music by Ian Christians, 1991. 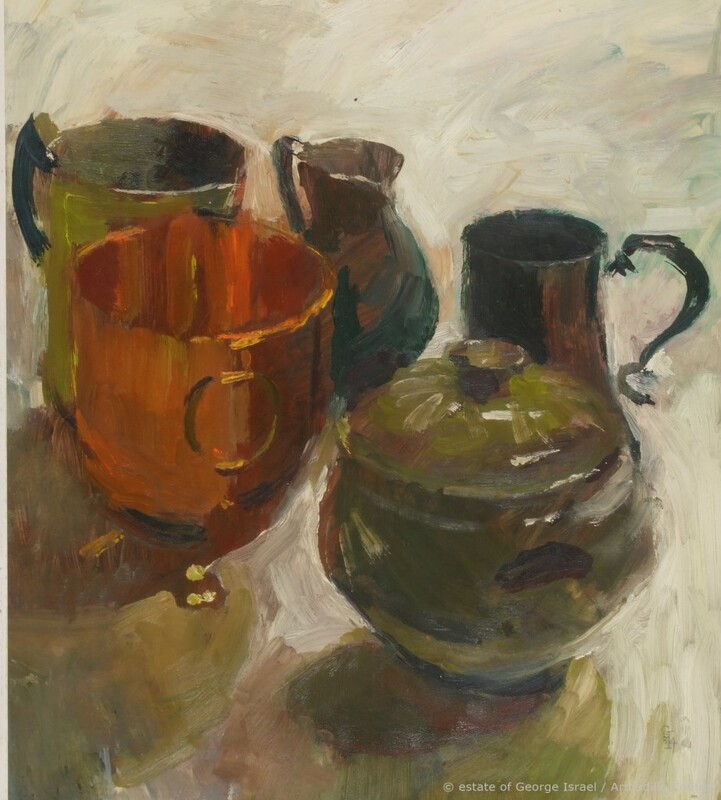 He worked in adult education after leaving the markets, teaching from home, and running a number of council classes in the Wimbledon area which included Painting & Drawing. He also did painting demonstrations for Rowneys. He continued to teach at home until his early eighties. 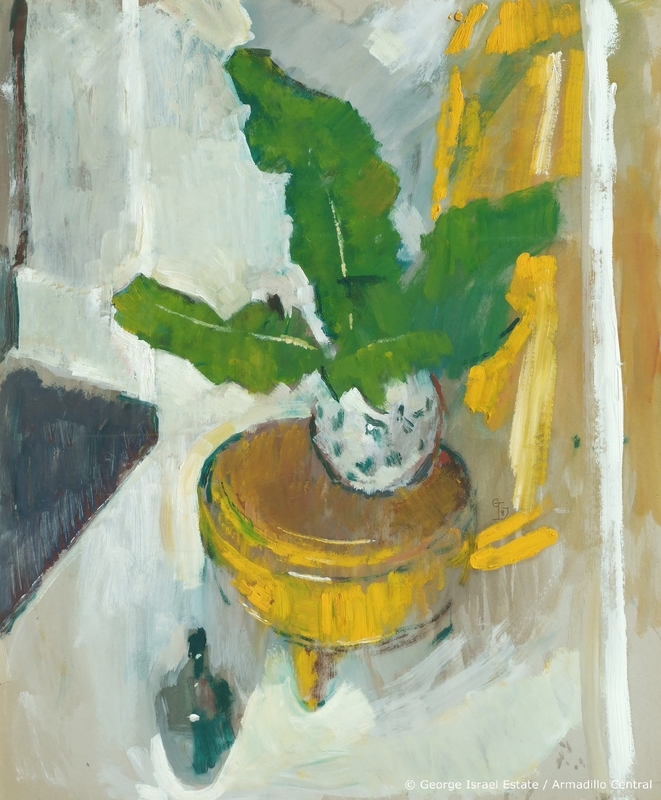 After his wife’s death in 1995 he was persuaded to join classes at the Royal Academy and Richmond Adult Community College, where he stayed until shortly before he died in 2004.